July 9 (UPI) — Nissan admitted Monday it falsified test data on exhaust emissions and fuel efficiency at five of its Japanese manufacturing plants. In a statement, the company said falsified data dating to 2013 was discovered during a company-wide audit. That investigation was prompted by an issue in which “unqualified personnel were testing cars coming off the assembly line.” It led to a recall of 1.2 million cars. The discovery leading to Monday’s announcement came after the Japanese government ordered Nissan to re-examine its quality protocols. The company said emissions levels of 1,171 cars were tested under non-conforming conditions, including government-regulated temperatures and speeds. 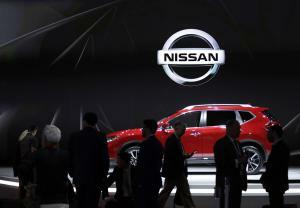 Yasuhiro Yamauchi, Nissan’s chief competitive officer, apologized at a press conference on Monday. “A thorough investigation is being conducted to find out why such malpractice took place,” he said. Nissan is the latest major automaker to find itself in an emissions scandal, after similar revelations from Volkswagen, Renault and Fiat-Chrysler. Its share price fell 4.5 percent on New York markets before recovering.